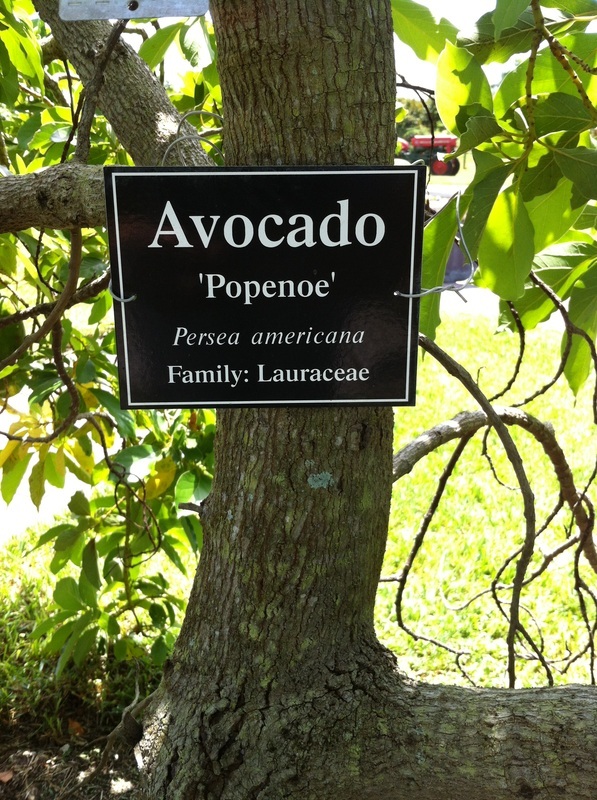 The Wilson Popenoe Avocado: There is diverse information about its size, production and culture. All depends where you get your information. Some say there are only a few trees in existence. Sometimes you read that the fruit is one lb. in other places that it is up to four lbs. I’m confused as well. This will never be a commercial variety but could very well fall under the category of "family and friend"
I went to a nursery in Broward County to get a specimen of “Wilson” It was a sorry looking tree in a 3 gal pot, reluctantly I said good bye to my $35.00. The men who sold it to me said that as long as it stays in a pot it looks like that. He took me to see one in the ground but it did not look much different to me. About 10 month later, he was right. I put it into a 7 gal pot, no change. 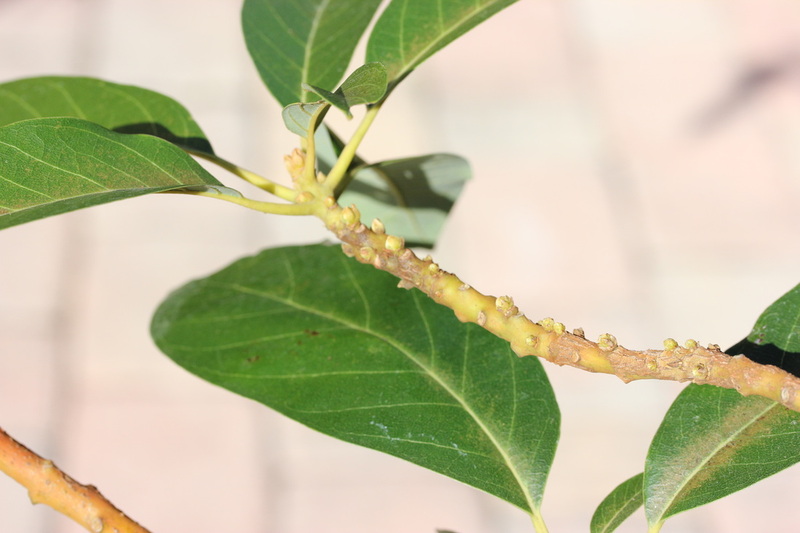 Strange tree, the branches have a yellowish color and are thin. 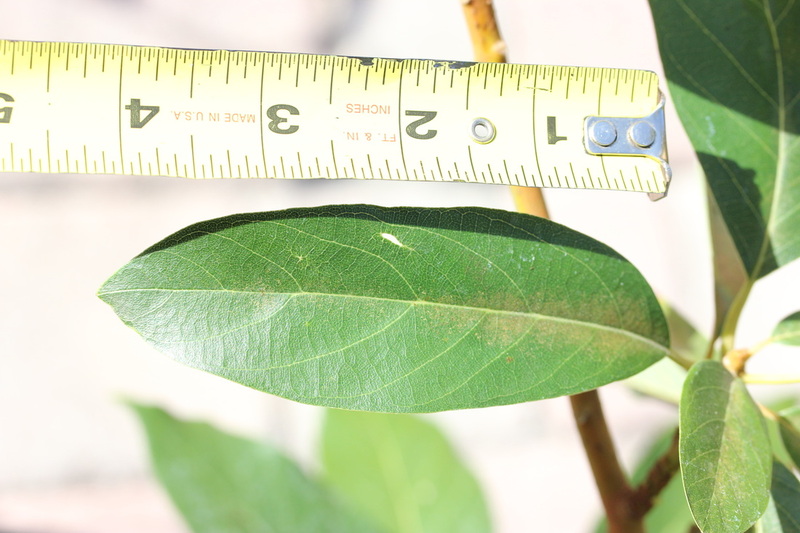 The leaves are small compared to most other avocados I know. A cousin a mine who recently purchased five acres in Homestead has a few of this variety. I can tell because of the peculiarity of the leaves and branches. I will be able to follow it more this year. The production from this tree is described as 1-2 lbs. about 12 inches long. I saw a picture and looked like a Wilson but small. Pedro, an apartment building manager in Hialeah was in his younger days an avocado trader in Cuba. He tells me there was a “Wilson” avocado in Cuba whose fruit was as tall as a five gallon paint bucket and weighted several lbs. Pedro is remembering from the late 50’s. 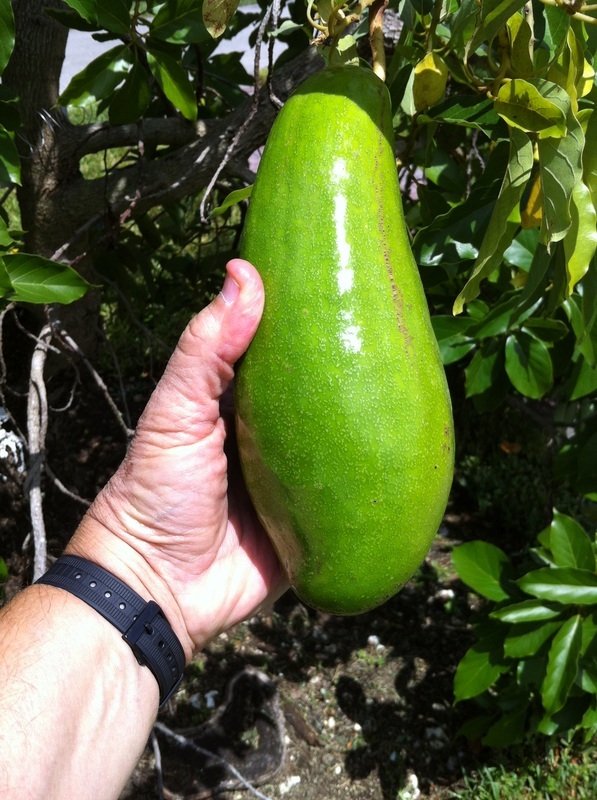 I know another guy who lives about ¼ miles from my grove that he has an old avocado tree in is backyard that produces huge, tasty avocados. By the description, this is the same as Pedro and some reports on the Wilson. I have a visit pending to his house to at least see the tree and leaves and hopefully the fruit in the summer. Finally I decided to look for the Wilson from another source and got bud wood from Fairchild Tropical Gardens. 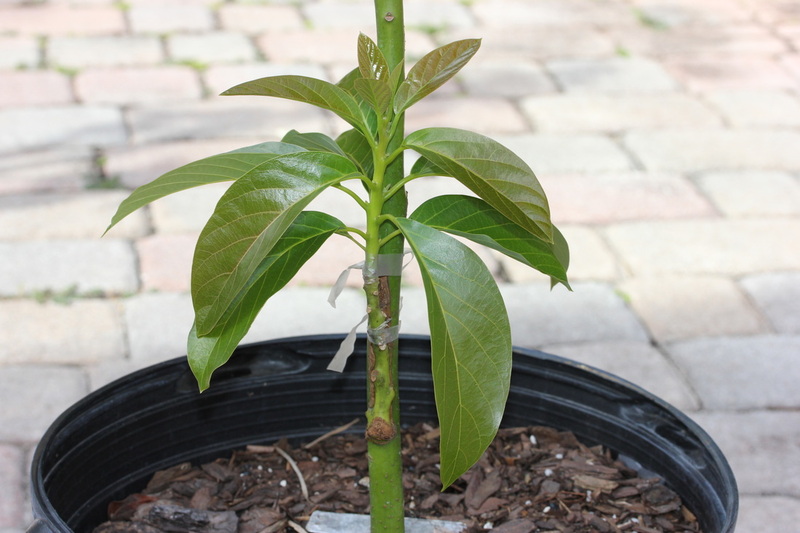 The tree I got bud wood from does not look like my cousin’s or the one I have in a container at home purchased from a nursery in Broward. It is a more traditionally looking tree. 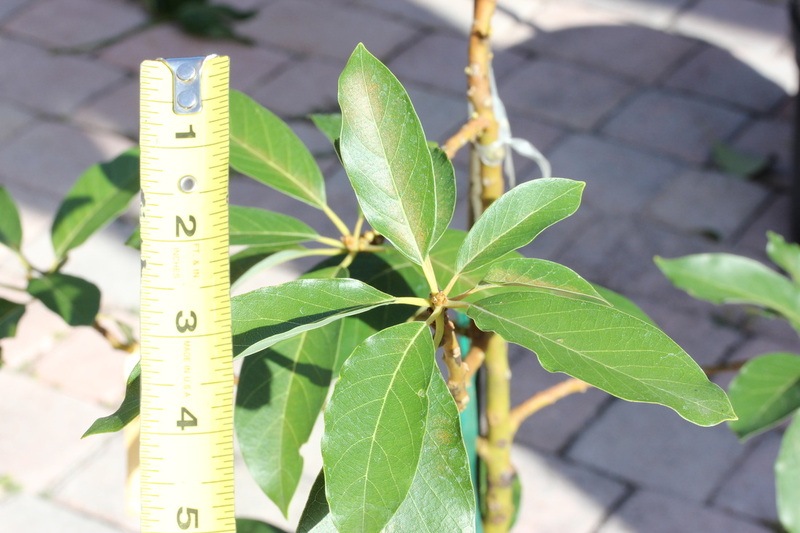 I will post the picture of the grafted tree; even at this stage the leaves look totally different. What I know so far is that it is being called “Wilson” are two different trees. May be one is a seedling of the other. But as of March 9, 2012, that is where it stands. More on this in the future as I come up with additional information. If you have some, please share it. For purposes of the photos the one with the small leaves I’ll call Wilson X.
Update July 7, 2012. I decided to pass by Fairchild Tropical Gardens, Williams Farm to look at the tree I got the bud wood from early in the year to make sure it was producing nice fruit. I was pleasantly surprised to see lot of fruit in the tree, most over 2.5 lbs and 8-10 inches long. See pictures below. This fruit still has at least 5-6 more weeks of development. January 19, 2013: I don't have a tree to top work this into this year. It will have to wait until next year. 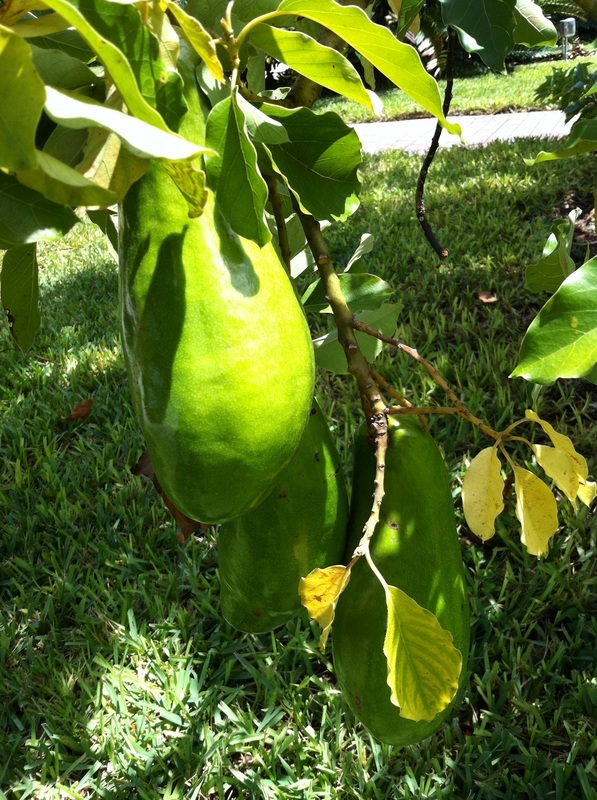 January 28, 2014: Finally I got around to top working a tree with this variety.